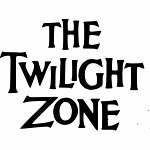 May 11 is National Twilight Zone Day in the USA. It may sound mysterious and a little bit scary, but we think you get the picture of the holiday. National Twilight Zone Day celebrates the television show The Twilight Zone, that was aired from 1956 till 1964. It premiered on the night of October 2 in 1959 on CBS. Every episode was a story, containing fantasy, drama, psychological fiction, science fiction, suspense and horror. 156 black-and-white series were aired till 1964. The Twilight Zone was reborn in 1985, 110 series in color were aired from 1985 till 1989 on CBS. The show started again in 2002 and only 44 series were aired. The Twilight Zone is world's one of the first and the most popular science fiction series. TV Guide has listed it the 29th in The 50 Greatest TV Shows of All Time. We couldn't find out, who introduced National Twilight Zone Day and why May 11 was chosen as the date of the holiday. Anyway, today you can watch your favorite episode or play The Twilight Zone board game!